SnoRiders catches up with the man who paid tribute to the late, great skiing legend Shane McConkey by BASE jumping his sled from a cliff in Fernie, B.C. Extreme snowmobilers, such as Levi Lavallee and Heath Frisby, have performed some amazing stunts on snowmobiles over the years—they’ve backflipped them, front flipped them and sent them soaring over massive jumps—but this is something new: BASE jumping a snowmobile from an 800-foot cliff. (BASE stands for the fixed objects that participants jump from—buildings, antennas, spans and earth). 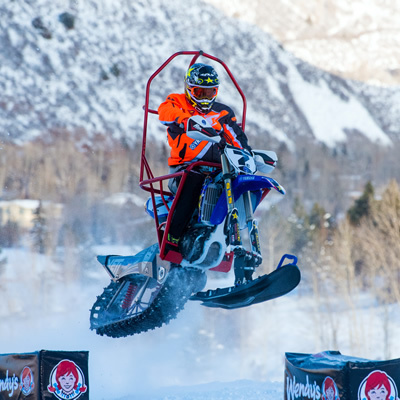 Some would call it crazy, but for Erik Roner—who is a professional skier and a BASE jumping enthusiast from Lake Tahoe, California—it was the only way he could part with his mentor and friend Shane McConkey’s snowmobile. McConkey was an extreme skier, born in Vancouver, B.C., who died in March 2009 while performing a skiing stunt in Italy. Roner had been friends with McConkey since the late ‘90s and together, they had pioneered the sport of BASE jumping. Roner said they had given a lot of thought to BASE jumping snowmobiles over the years but had never attempted it. Before he passed away, McConkey had sold Roner his snowmobile—an older model RMK 700—which Roner used to access the backcountry to film his skiing videos. This winter, Roner decided that it was finally time to retire the RMK so he could upgrade to a newer sled. He couldn’t just sell it or give it away, though. So out of respect for his friend, Roner travelled to McConkey’s home province to launch the snowmobile off an 800-foot cliff in the mountains near Fernie, B.C. In the video that he published on YouTube a month later, which has received over 133,000 views, Roner spreads McConkey’s ashes over the snowmobile and then he drives it off the cliff. 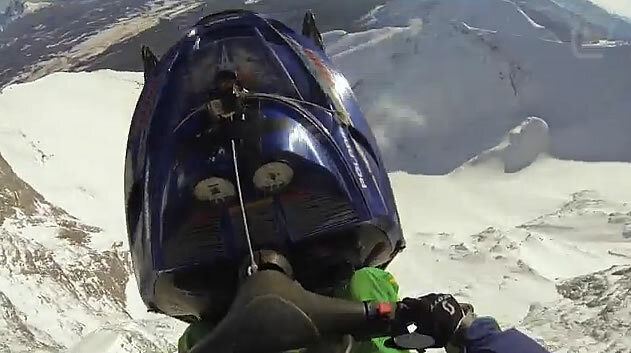 Roner had point-of-view action cameras attached to him and the sled so viewers get to ride along, so to speak, with Roner as he and the sled plummet down the mountain. Roner, of course, pulls his parachute and glides to safety while the sled gets smashed to bits. 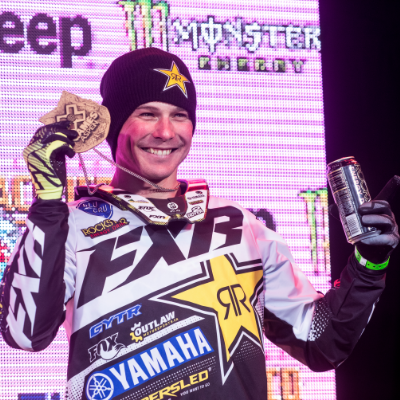 After the jump, Roner gave his sled trailer and what’s left of the RMK to a Fernie local but he kept several pieces of it to give to friends and family. He said he plans to auction off parts of the sled for the Shane McConkey Foundation as well. This wasn’t the first time that Roner paid tribute to his friend by performing some death-defying stunt. In 2009, shortly after he heard of McConkey’s death, Roner ski-BASE jumped off a cliff in Alaska, naming the cliff Shane’s Thumb. A true adrenalin junkie, Roner is also one of the original members of the Nitro Circus team—led by extreme sports legend Travis Pastrana. He is currently on tour with the team in Australia but he was able to correspond by email with SnoRiders and answer a few of our questions about the jump in Fernie. What was going through your mind the moment you let go of the sled and pulled your chute? Woo-hoo! I thought I’d have more speed and would have been further away from the cliff. I got off the sled earlier than I wanted to but it worked out fine. After you return from the tour with Nitro Circus, what will you be up to? I have plans for some more fun stunts this summer so stay tuned. You can follow me on Facebook, Twitter, Instagram and YouTube. Can we expect to see more snowmobile BASE jumping in the future? I’d love to do it again. I learned a lot after that jump and would like to take that knowledge into the next jump. To see the video, go to Erik Roner's YouTube channel.